It probably came as no surprise that the “mansion tax” as proposed by Vince Cable has been firmly rejected by both the Prime Minister David Cameron and the Chancellor George Osborne. The Liberal Democrats proposal to impose an annual tax of between 1% and 2% of the property’s value above a threshold of £1-2million. Despite the rejection of the proposal, both David Cameron and George Osborne warned the rich that they will pay higher taxes before the next election, but did not provide detail on how that would be levied. 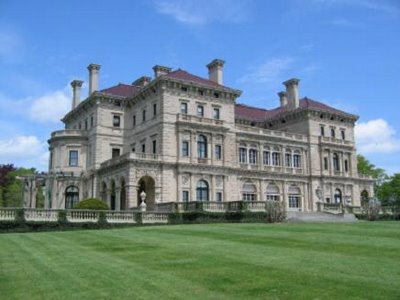 Critics of the “mansion tax” had expressed concerns that UK homeowners who were “asset rich” but “cash poor” would have been liable for the tax and also raised concerns that before too long, more modest homes would find themselves categorised as mansions. However, changes in property tax laws that come into effect in 2013 will introduce an annual charge on non-residential properties worth more than £2m, held by ‘non natural persons’ including property investment companies. Whilst many UK citizens have made the switch to submitting their tax returns on line, it is still possible to file an individual self-assessment form on paper. However, if you are intent on making your submission for the 2011/2 tax year on a paper based form, you have just missed the deadline of October 31st. HMRC have confirmed that any paper based returns submitted after this data, even if no tax is due, will result in a £100 penalty. For those choosing to make a submission on line, or appointing an accountant to make a submission on line on their behalf, the deadline is three months later. HMRC have also stated that those who file on line will have their tax affairs processed more quickly and that those who are due a refund should get their rebate more quickly. The initial fine of £100 for a late filing can quickly escalate regardless of whether on line or paper based filing is chosen. If a return is still outstanding three months later there can be additional penalties of up to £10 a day, up to £900. After six months a further penalty of 5 % is added, or £300, whichever is the greater, and another 5% after a year. And remember, all of these penalties are regardless of whether you owe any additional tax or not. If in doubt, please contact a suitably qualified accountant to assist you with your tax returns. 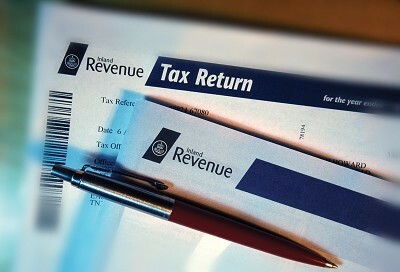 HMRC have set a target of £50m for their newly established task force to recover this year. Set up in May, HMRC report that their new crack troops are on target to recover this amount, and expect to recover £20m from the property sector alone. HMRC have declared that their shock troops are focusing on particular areas of the country and are focusing on perceived high risk industries. So far, this has included market stall holders, taxi drivers and property rental businesses, with other industries that are next in line to be targeted being kept a secret for the time being. HMRC describe their activities as being short, sharp bursts of activity. However, they are employing the carrot and stick method by offering to waive potential criminal charges and fines for those who come forward with full disclosure and settlement of outstanding taxes due. The new Judge Dredd movie recently hit our cinema screens, could this be the inspiration for a new generation of tax inspectors ? Petrol or Diesel Car? Which is cheapest? We do the sums. You may be surprised. According to motorists’ guide Parkers, sales of diesel cars increased from 42 per cent of all vehicles to 46 per cent in 2010, with buyers increasingly believing diesel cars represent better value. So are they right? There are many car adverts and articles which imply that a diesel car will save you money in the long term, but very few that ever tell you the full life costs. So, taking the popular Mazda 6 hatchback over a period of 3 years for a UK driver as our example we performed some calculations to prove or disprove the assumption that diesel is the cheapest to run. Earlier generations of diesel engines quite rightly gained a reputation for higher levels of reliability than their petrol equivalents despite their lack of refinement and high levels of emissions. There are many reports of old diesel engines that have travelled vast mileages. However, modern diesel engines have made huge improvements both with regards to refinement, performance and emissions. This has been achieved with advanced mechanicals such as injectors, sensors, high pressure fuel pumps and turbochargers. All of these components on modern diesel cars are very expensive to replace should they fail with repair bills running in to the multiple £1000’s. In most cases, the petrol equivalent car is far cheaper to repair and often does not have these expensive components. Modern diesel cars carry a high risk of potentially very expensive repair bills if you are unlucky. These risks are not factored into our calculations as we have assumed that any such repairs would be covered by the manufacturer’s warranty for the first three years, but watch out when the warranty runs out. Do you doubt the validity of our calculations? Well here is how we came to this conclusion. 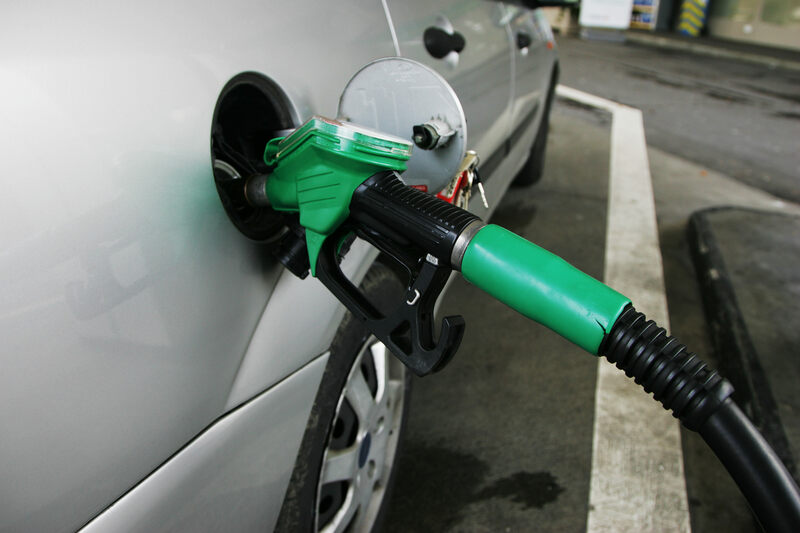 Of course, diesel fuel cars ARE more economical than their petrol equivalents, so fuel bills must be a factor…. and they are. The results are different depending on how many miles you do – here are the results for 3 different mileages. Once the mileage used for this comparison rises above 18,000 the calculations begin to favour diesel. Prices have been taken from the target price from UK What Car magazine. The only optional extra is metallic paint at £420. Service costs over 3 years and Road Fund license taken from UK What Car magazine. Petrol is cheaper to service, but diesel is cheaper to tax in this case (although not always). No difference in running cost. You may be surprised that the diesel model sits 7 insurance groups higher. For this example, it has been assumed £400 pa for the petrol model, £500 pa for the diesel. Always the biggest cost when running a car is depreciation. For our example, depreciation rates are taken from UK “What Car magazine”. The diesel has a lower depreciation rate, but this is offset by its higher purchase price. Whilst diesel fuel is 28p per gallon more expensive, the greater fuel economy of the diesel engine results in a significant win for diesel. This is a cost which is often overlooked. The higher the APR rate and the greater the difference in purchase price, the more this will favour petrol. If the car is being purchased out of savings rather than financing, then this difference will be much smaller due to investment returns being on average considerably less than 6.5% apr. Add all of the above together, and the petrol model will save £511 over 3 years. Of course, these are just the finance numbers. Some drivers prefer the torque of a diesel engine, some prefer the smoother quieter engine in a petrol engined car and some don’t like refueling with diesel. Car dealers and manufacturers in the UK would prefer that you buy the more expensive car which is always diesel. In many countries diesel is cheaper than petrol (unlike the UK) so the argument for diesel is a stronger one. But in the UK the finance numbers surprisingly show that petrol just edges it for private buyers. 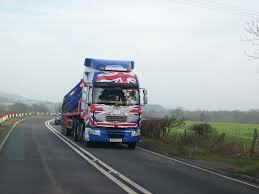 For years, British hauliers have complained that they pay to use British roads, and then pay again to use roads on the European continent, whilst foreign truck drivers coming to the UK incur no similar charges and have an unfair advantage. Common practice is for truck drivers from overseas to fill their diesel tanks in Calais, come to the UK, pay no charges for using the UK roads (and wearing them out), and then return to Calais to refill their tanks on the way home. But at last, proposals from the newly appointed transport secretary Patrick McLouglin are now attempting to level the playing field. The UK government intends to introduce a road tax charge of up to £1,000 a year for foreign trucks to use British roads which is expected to raise up to £23m a year for the British treasury. The bill to set out this plan was published in October and is expected to come into force within the next two years. Pay Less Tax – Can I offset the costs of working from home for tax? It is quite common for owners of small businesses to use part of their home for living and part for business and to want to offset part of these costs against business profits for taxation purposes. This can vary from dedicated rooms (such as a physiotherapist’s treatment room) through to occasional use of the kitchen table for processing paperwork. 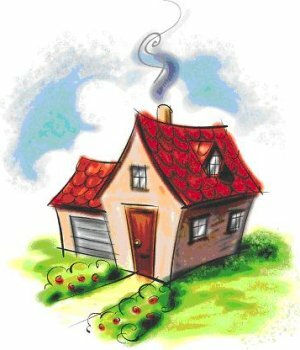 There are two potential treatments of home costs. The first is mainly used by those who make very minor or occasional use of their home for business purposes and do not have any dedicated rooms for business. For this method, a reasonable estimate of costs incurred is made based on household utility bills and the amount of time spent working from home. The second method is more commonly used when working from home regularly and have rooms that are dedicated for their business. This involves allocating rooms in the house to either business or personal use. ( eg – 2 rooms out of 10 are used for business, therefore 1/5 of the home is declared as for business use). With this method, the household utility bills such as water, gas and electricity are allocated to the business based on the above split. If you follow this route, you will need to be aware that if you declare a room to be entirely dedicated to your business, then should you sell your home, this will have a capital gains impact which would not normally apply to your main residence. Before applying either of these methods, please be advised to discuss this with your accountant who will be able to guide you to the best route for your circumstances. 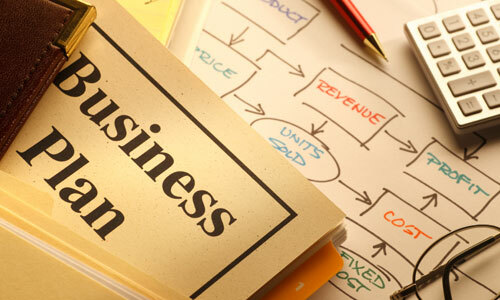 Have you been asked for your business plan? Do you need to secure finance or grants? Transform Accounting can help you formulate your plan, guide you through what information to include and show you how to present your financial forecasts. Markets and competitors – A description of your target market, it’s size, trends and characteristics of buyers. What are the competing products. Illustrate your understanding of your competitor. Sales and marketing – How will you win orders? How long will it take? Financial requirements – How much finance will be needed. What will it be used for. Assessing the risks – Consider a range of what-if scenarios when things may go wrong.